Once upon a time, I took a vacation with my mom. Actually, it was 1998. 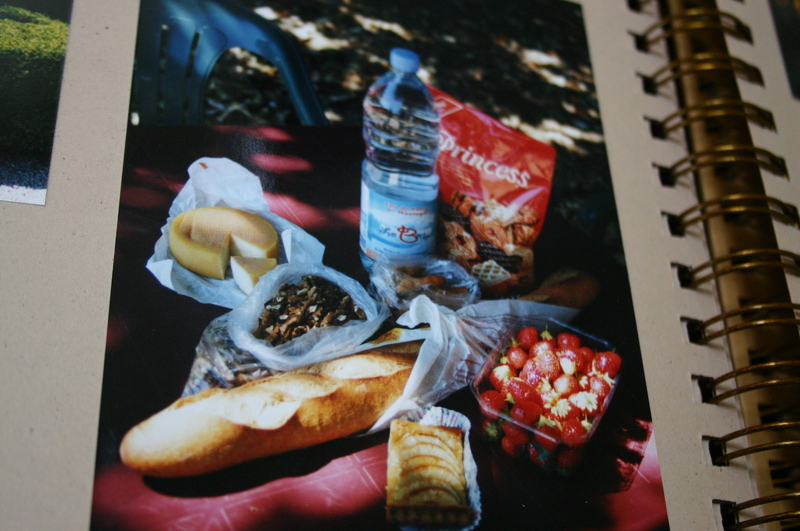 We were in France and had just filled a bag with foods for a picnic lunch. A picture in my album (this was in the days before digital) captures a collection of oh-so-French munchables. A baguette in a twist of pastry paper, a round of buttery cheese, a bag of raw pecans, a rectangle of apple tart. But I didn’t remember any of these before I looked back at the photo. What compelled me to pull the album from the closet is the memory of a pint of wild strawberries bought from a roadside stand. Christmas-bauble red and tiny, these were the first real strawberries I’d ever eaten. So fragrant I felt something like an ache in my teeth just before the first bite. And I wasn’t disappointed. Each was the culinary equivalent of a really great kiss. 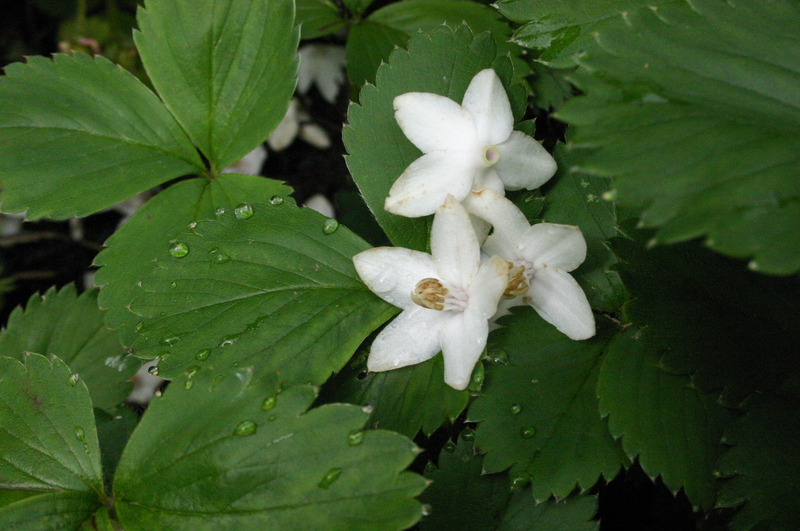 No wonder the nectary, heart-shaped strawberry is a symbol of the goddess of love, Venus. As the only fruit with seeds on the outside, the strawberry symbolizes all that makes love so enticing: an invitation to vulnerability; the suggestion of transparency and exposure. Mmm. Just thinking about them makes you want to devour a pint, doesn’t it? Take that thought and let it lead you – quickly, sometime in the next few days – to a pick-your-own strawberry farm. You really, really won’t get the “love” flavor if you buy them at the supermarket. That’s because commercial strawberries are grown for their ability to travel well. Though companies such as Driscoll’s have whole departments dedicated to developing better-tasting varieties, berries you buy in the store are further from delicate and don’t have the same swooning effect as the more perishable types. Commercial crops tend to yield fruits with higher water content and less flavor. Some supermarket berries even have the telltale white heart that spells, to me at least, drab flavor. So make the trek to the farm. Or at least the Farmers Market. If you live in Olympia, here’s the skinny on local strawberries: It’s likely the last week for Johnson Berry Farm’s pre-picked, organic beauties, for sale at the market as well as their farm stand on Wiggins Road (arrive early – they sell out!). Rising River Farm‘s berries are approaching peak season and Wobbly Cart may have a few berries available. Boistfort Valley Farm‘s berries have passed their production peak and may not be available. If you have the extra bit of time, try picking at Pigman’s Organic Produce Patch. (That’s where we picked the pints pictured above.) 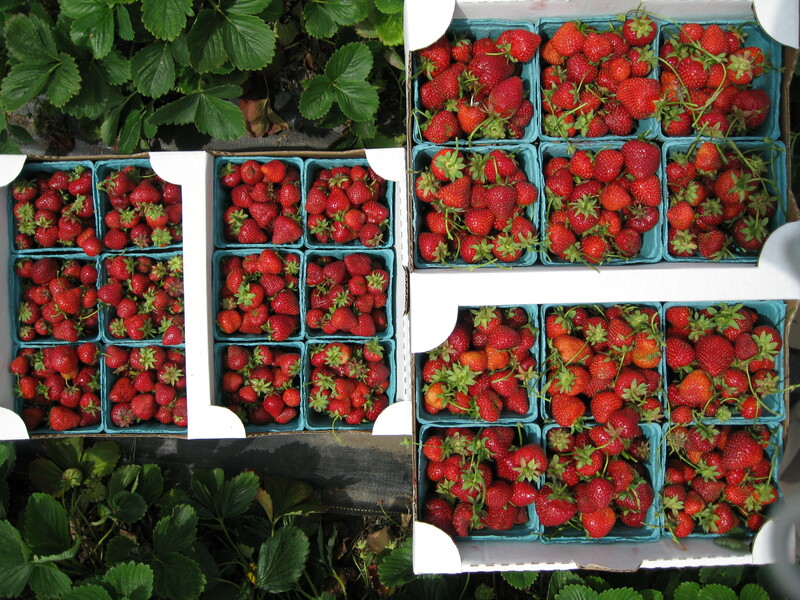 Call ahead – U-picking is limited as their strawberry season doesn’t peak until late July and August. Spooner Berry Farms will not have U-pick berries available this season. *Update: I just heard from Boistfort Valley that their delicious berries (I bought a half-flat yesterday) are, in fact, Shuksans. No wonder they’re so delicious. I’ll amend the goal for my 2012 calendar: go to this event. This entry was posted in Summer Fruits and tagged Local, Organic, Strawberry. Bookmark the permalink. Oh… I remember that day in France…. it was a day like today… just this morning I ran out and picked fresh strawberries in my garden for 9 small pancakes I made for myself(!) and yes, mixed with organic maple syrup… YUM… can’t wait to hear what you do with the berries this week!!! What did you do with the strawberries? We got a flat and made freezer jam, froze some, had strawberry shortcake and ate lots of them from the basket… I’m ready for more this weekend. 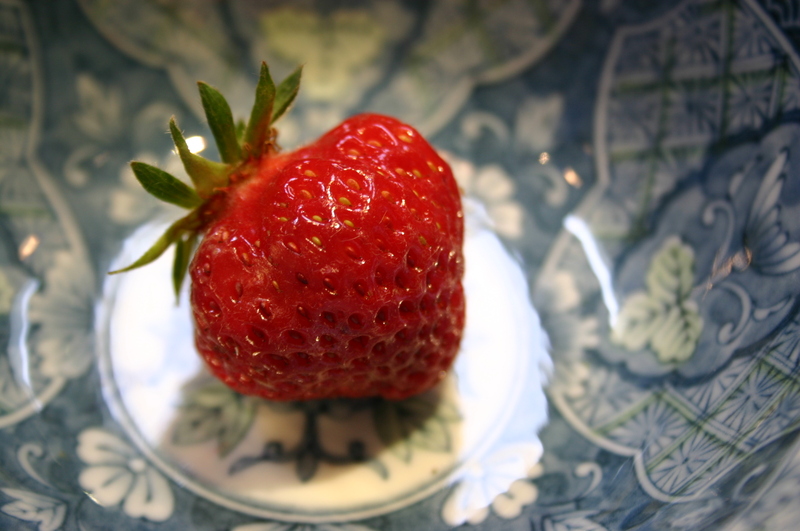 Are Spooner’s strawberries still not organic? I froze mine and ate a bunch of them plain. But planning on getting a few more and making Chie’s macerated strawberries from today’s post. I just visited the Spooners website. They appear to be non-organic.